Religion is on the decline and secularism on the rise, says mainstream media. But just how true is this statement? What exactly is secularism and is it really usurping religious faith? 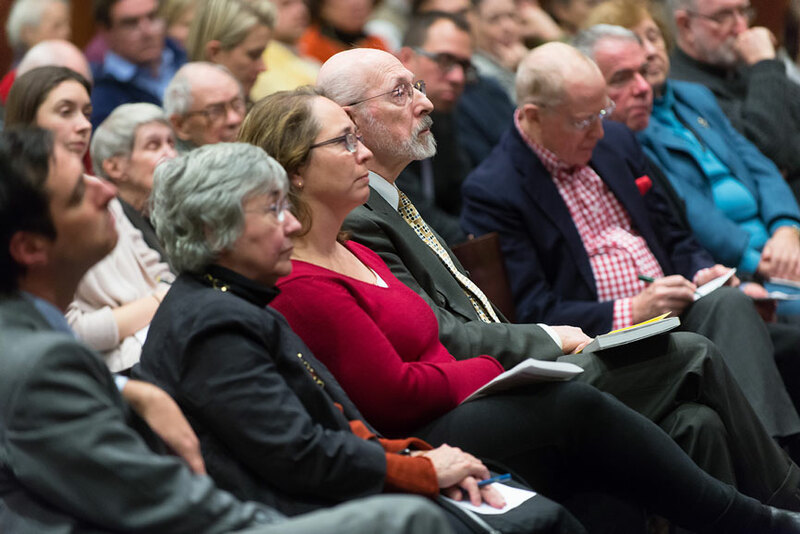 A panel of experts took up the controversial topic at Fordham on Nov. 18. 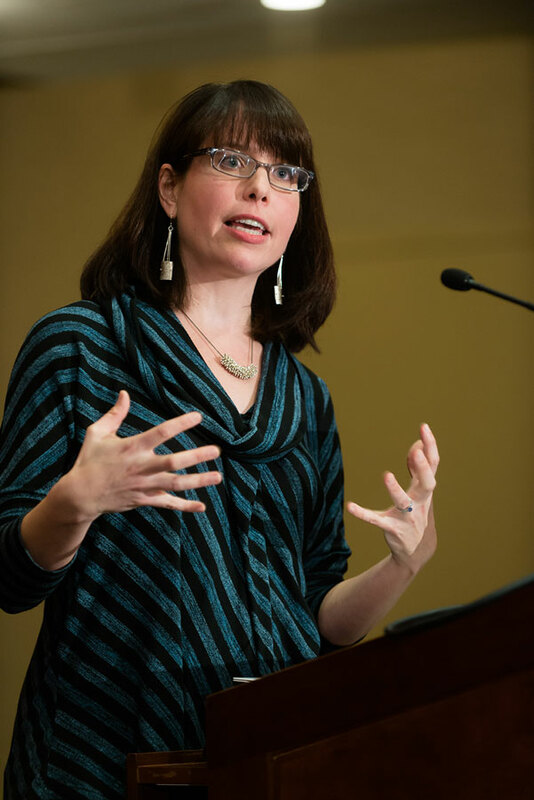 The inaugural Peter Steinfels and Margaret O’Brien Steinfels Lecture, “In Secularism We Trust? The Fate of Religion in the 21st Century,” was hosted by the Center on Religion and Culture (CRC) and moderated by Washington Post columnist E. J. Dionne, Jr. There are several ways to interpret secularism, Worthen said, for example: a shift from belief in the supernatural to knowledge of the scientific; the retreat of organized religion from the public space; or the recognition of religion as one worldview among many. Advancements in modern medicine and technology also play a significant role, Worthen said. “We have no concept of the physical pain and fear that our ancestors lived with on a daily basis… [of]the physical suffering that for thousands of years [drove]humans to seek consolation outside material existence,” she said. New York Times columnist Ross Douthat cautioned panelists not to put complete faith in the trends, however. After all, he said, if someone 40 years ago had prophesied the future of religion based solely on the trends between 1960 and 1970, he might have concluded that by the year 2000 religion would have all but disappeared—which clearly is not the case. If you’re looking to the future of religious experience and spiritual exploration, then it’s useful to spend some timing watching Oprah Winfrey, listening to Joel Osteen, or reading Eat, Pray, Love—the places where the spiritual, the pop-cultural, and the commercial intersect,” he said. 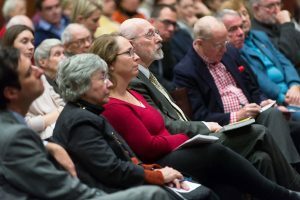 The Nov. 18 lecture both marked the 10th anniversary of the CRC and honored Peter and Peggy Steinfels, the cofounders and longtime directors of the center.